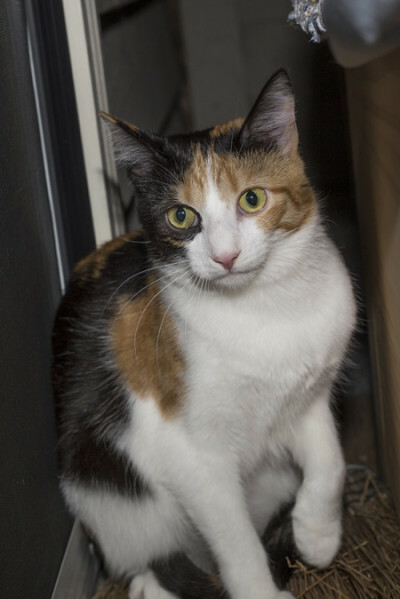 Pretty Esmeralda is a shy kitty, who will take some time to acclimate to life with a family. 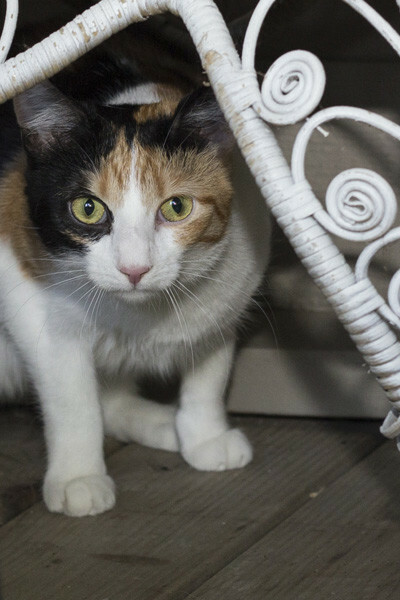 At this time, she is not ready to be adopted into a home, but she is a beautiful and young girl with lots of potential to adapt to life in a loving home. Right now, she is for sponsorship only (please consider donating for her continued care with Maureen), and hopefully, someday, she will learn to trust people, and find her forever home. At Cat Guardians, our volunteers and shelter provide permanent housing for all of our residents, regardless of health, age, or disposition. Esmeralda will be given a comfortable, happy life no matter how long she needs to become accustomed to life with her human companions.